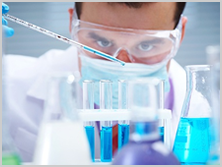 Hamax Pharmaceuticals is one of the leading manufacturers of pharmaceutical formulations in India. Since 1981, the company is engaged in manufacturing of Pharmaceutical specialty formulations at Vadodara, in the state of Gujarat. Over the last three decades, Hamax pharmaceuticals is manufacturing, marketing and selling pharmaceutical products all over India. Hamax manufacture wide range of products including Tablets, Capsules, Oral liquids, Powders and injectables. The products are distributed in all over different therapeutic areas including but not limited to analgesic, antipyretic, antibiotics, anti allergic, anti histaminic, anti diarrhoeals, anti ulcer, antifungal, enzyme drugs. Hamax also manufacture/market ayurvedic medicines, food products energy drinks and oral rehydration salts. Hamax Pharmaceuticals always focuses on quality of its products while keeping the prices most affordable for the customers. Hamax Pharmaceutical welcomes pharmaceutical product dealers and distributors from all over India to become its PCD/Franchise in the region of their choice.